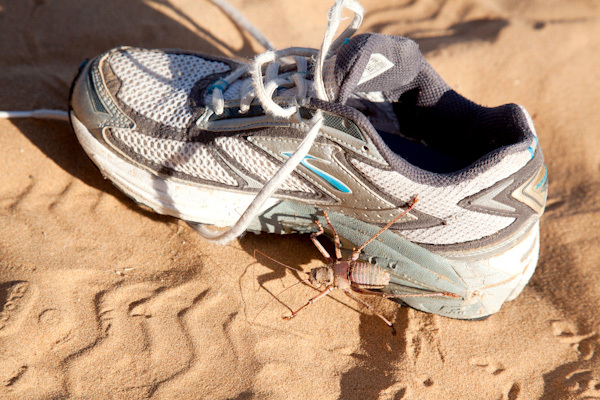 After last week's blog, a few people who know me well contacted me asking why I left out a photo of the scorpion that was discovered by the campfire. While I do not have a photo of THE scorpion, they know me well because I take advantage of any and all photo opportunities and do have one of the MANY like it discovered next day during daylight hours. I have included it here. 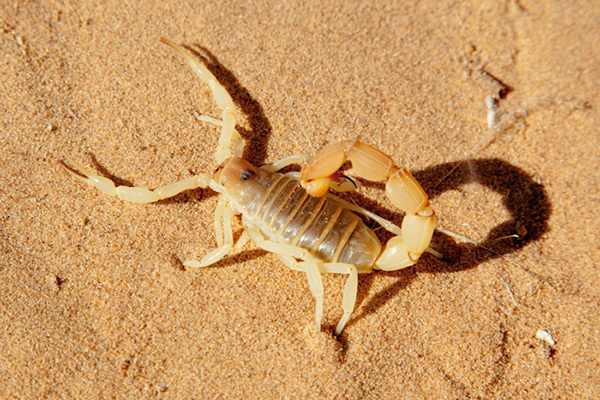 I am also thankful that I was unaware of the fact that scorpions seek out warm places in the cool night time hours: "warm places" translates to "under the canvas floor of our tents!!!" One was found beneath one of the tents when we broke camp on morning #2. Remember I mentioned that this charming campsite was on a level sandy area? 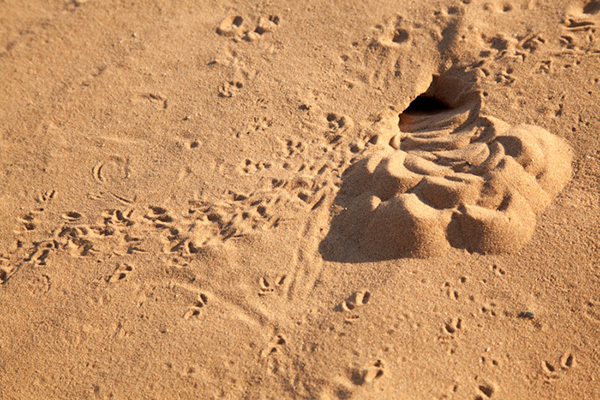 Well, in the early daylight hours, the sandy area was covered with a variety of insect tracks criss-crossing every which way. 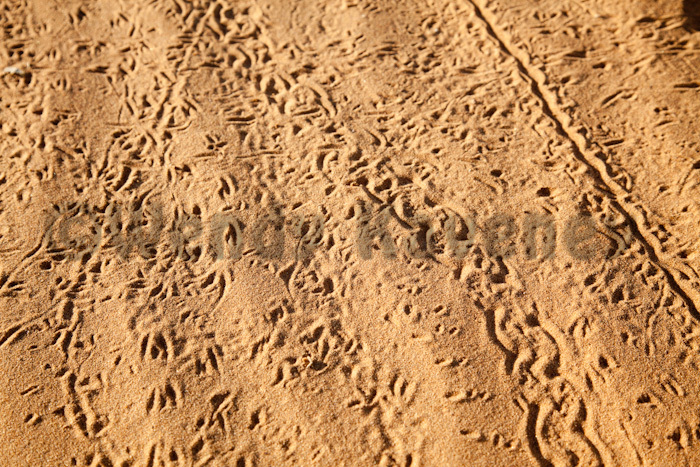 The low light of the sun accentuated the different patterns left behind by tiny feet. And so, we spent the early morning tracking and identifying the insects responsible for the beautiful patterns left behind. 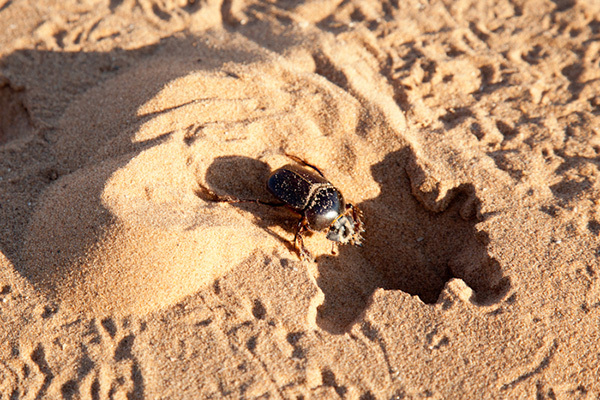 It was fascinating to see the variety of creepy crawly critters: dung beetles, armoured crickets, and scorpions! 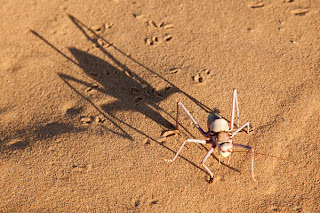 As creepy as these insects can be, the more we stalked them and observed them, the less creepy they became... Of course, we stalked them with cameras in hand and were rewarded with numerous photo opportunities to explore light and shadow as well as behaviors. 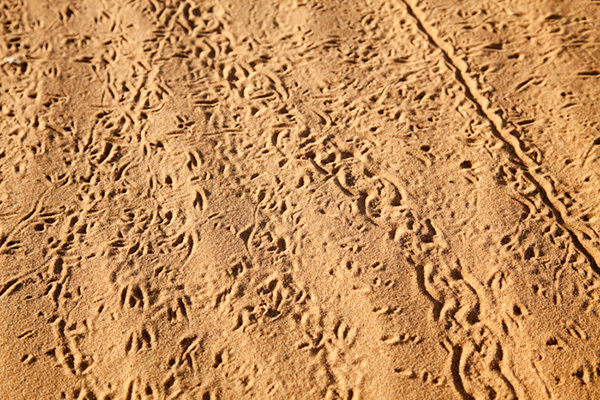 Their tracks surrounded our tents (obviously, they were looking for a warmer place during the night, too!) and they showed up in very odd places. 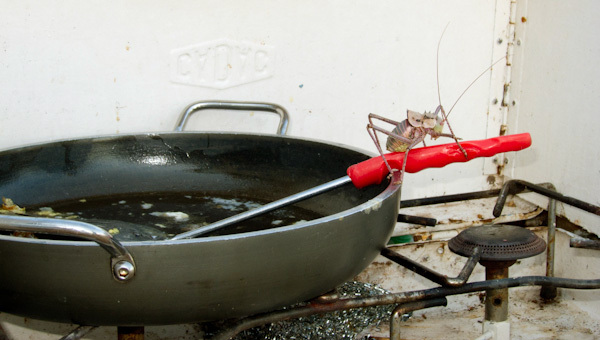 I have included a photo of one on the frying pan at breakfast time and one by my size 7 shoe for scale. 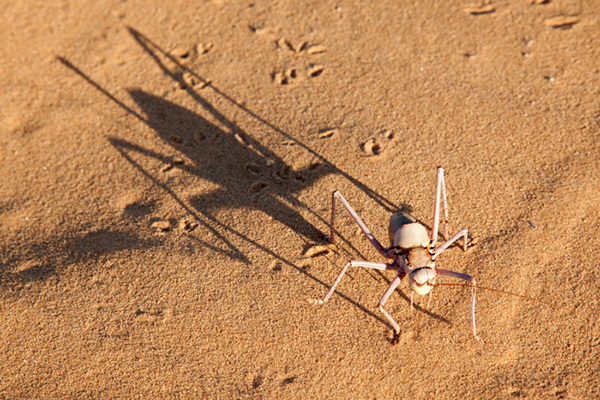 I loved how the low light of the sun made their shadows so tall!! On our previous visits to Namibia, we learned about these creatures’ presence solely by their tracks left on the sand; but this time, because we were camping, we were treated to actual observation the creatures themselves. 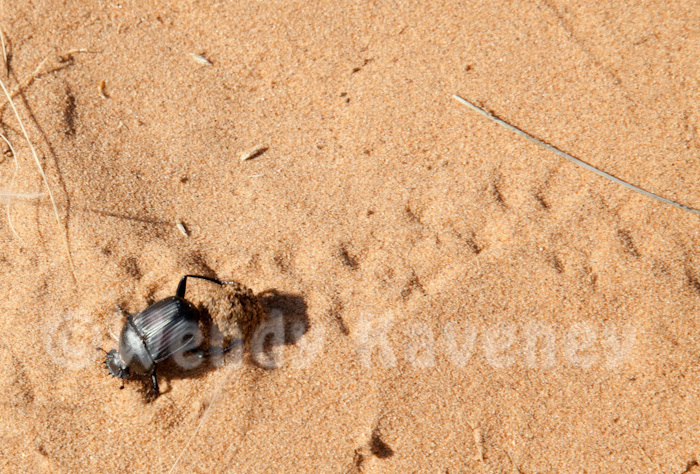 What an unexpected bonus photo opportunity these little critters and their tracks turned out to be! Feel free to click on any of the featured photos to see them larger.